William, the nineteen-year-old duke of Normandy, is enjoying the full fruits of his station. Life is a succession of hunts, feasts, and revels, with little attention paid to the welfare of his vassals. Tired of the young duke’s dissolute behavior and ashamed of his illegitimate birth, a group of traitorous barons force their way into his castle. While William survives their assassination attempt, his days of leisure are over. He’ll need help from the king of France to secure his dukedom from the rebels. 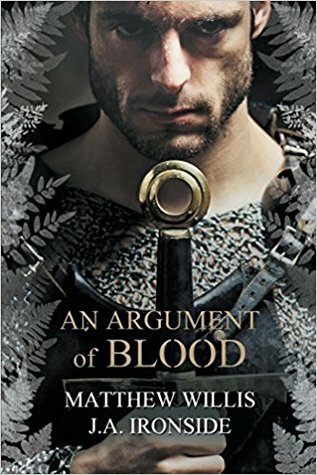 On the other side of the English Channel lives ten-year-old Ælfgifa, the malformed and unwanted youngest sister to the Anglo-Saxon king Harold Godwinson. Ælfgifa discovers powerful rivalries in the heart of the state when her sister Ealdgyth is given in a political marriage to King Edward, and she finds herself caught up in intrigues and political maneuvering as powerful men vie for influence. Her path will collide with William’s, and both must fight to shape the future.